Quickly and easily record HD videos for you by using Filmora Scrn. These days, where videos are all the rage and people prefer them over anything, making tutorial videos or bragging about your gameplay skills or even the pre-recorded presentation videos has become vital. For this reason, people look for the best HD screen capture software. There are numerous screen recorders in the market that boasts about the HD screen capturing ability, but in actual don’t support HD video quality. Considering this fact, we are going to present you some really good HD screen capture software for Windows 7. Let’s explore about the best screen recording software in the market. First on the list we have a highly recommended and powerful HD screen capture namely Filmora Scrn. This software can be counted as one of the best HD screen recorders in the market among others since there is a great deal of features and editing tools associated with it unlike other software. Some of the superior features comprise frame rate of 15 to 120 fps, tutorial features like circles or arrows, adding texts, etc. Furthermore, Filmora Scrn allows to record from screen and webcam altogether. Go ahead, have a look at some of the good points about Filmora Scrn. Here is another HD screen capture for windows 7 that gives you option for recording the screen in high definition. It is also loaded with some good features and allows users to record Skype videos or webinars quickly and without any complication. 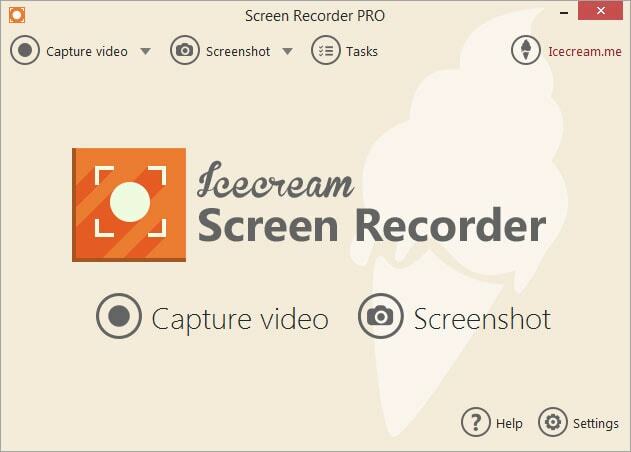 If users want to record HD videos and share it with friends or families, then it is a good choice to use Icecream. With its easy-to-use feature, one can easily choose the desired area and can also add arrows for explaining purpose. Following are the pros and cons about this software. 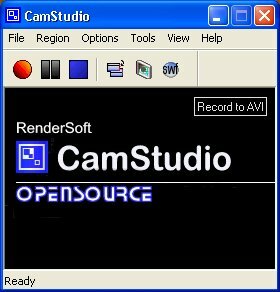 CamStudio is next in the HD screen recorder list without which the list would be incomplete. This open source software has the ability to record screen and audio activities on your PC. Be it demonstration video for software program, tutorial videos or game recording, CamStudio does all perfectly. With CamStudio, users also have the privilege to convert the recorded videos to the desirable file formats according to their need. Moreover, it also offers the flexibility to either record the entire desktop’s screen or just a specific part of the screen. However, if users want to record HD videos or realize other demands, setting CamStudio is a little bit complicated. All in all, it is a powerful recorder to meet specific needs. Let’s now discover the good and bad of this HD screen capturing software. You can also carry out HD screen capture via Bandicam screen recorder that manages to capture or record anything. Bandicam also provides the possibility of capturing merely a particular area of the PC screen. The games that require different technologies like DirectX or OpenGL can also be captured with Bandicam. The strength of Bandicam is that it can help you record HD game videos, which we have to admit that it plays an important role in recording HD game videos. Moreover, this allows you to record multiple external video devices as well, for example, webcam, Xbox or PlayStation and more. The voice mixing feature is also included where one can mix his/her own voice in the recorded video. Also, you can add preferred logo and mouse effects to the video. The fifth HD screen capture in the list is Ezvid which gives the users power to edit the video with the help of built-in video editor. With its unique uploading features, Ezvid becomes a great tool to record video and then directly upload video to YouTube. In a way, you also can say it's designed for YouTube. This software claims to be an exceptional and easiest screen recorder. Ezvid can be considered as a good solution of HD screen capture. This software assists to create a high quality video in minutes. A lot of effects can be executed such as changing speed, adding text, etc. This also lets the users to draw on the screen directly with its screen drawing functionality. So, that was all about the best HD screen capture software available in the market that can help you at various phases where you require a high quality video output with a smooth or lag-less playback. Every software has its own features, so we hope that you are now able to figure out which one will go best for you.